Groove-e Airbuds: true wireless headphones for just £60 | What Hi-Fi? They're among the cheapest true wireless earbuds we've seen. 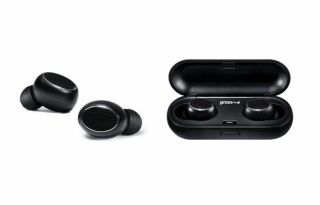 Many true wireless buds (which completely ditch the cable running between your ears) have arrived on the scene, most notably the Apple AirPods, Sony WF-1000X and Bose SoundSport Free. But none of these come with a price tag as appealing as Groov-e’s new Airbuds which, at £60, are among the most affordable we’ve come across. Battery life is three hours, but the portable carry case doubles as a charger and provides an additional seven hours of juice. Their Bluetooth connectivity and ability to make and answer calls are par for the course, we just hope their sound performance doesn't let the side down.